Hi ya everyone! I used my Silhouette Cameo to cut the Happy Apple Day EZ file. 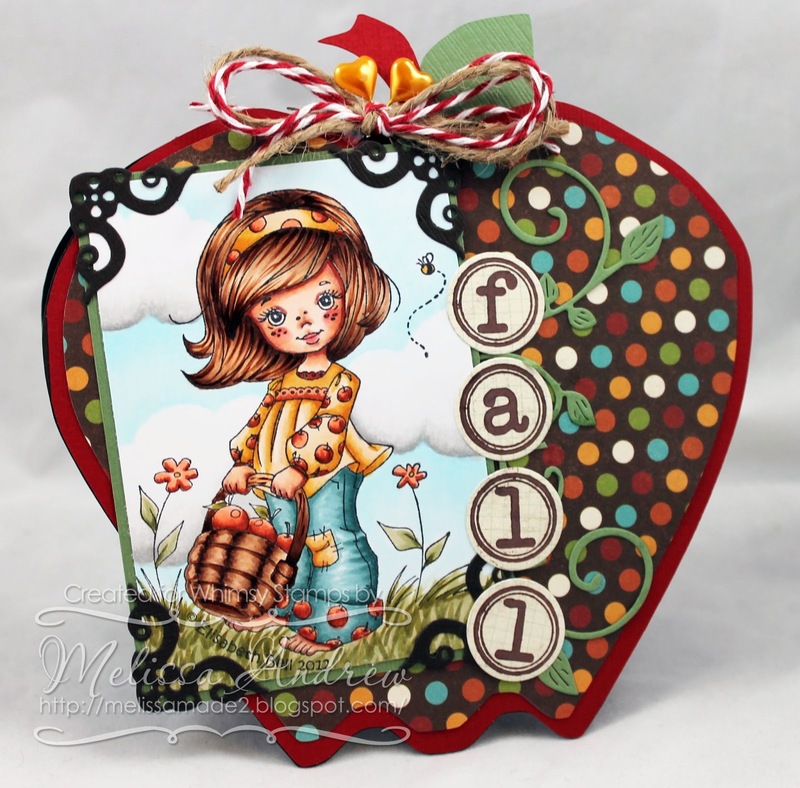 Shaped cards add such a nice touch and adding an adorable stamped image like Elizabeth Belle's Chloe makes it really come together. I colored her in my Copics. I also used the fabulous die and stamp set called Tiny Shapes Die and Just My Type for the fall sentiment! Love the apple shape on this card. The image is beautiful, and the coluring is amazing. Beautiful Card! And love the shape! Thanks for sharing. Sooooo beautiful. Love colouring and design! So very cute! I lOVE those gorgeous puffy clouds!